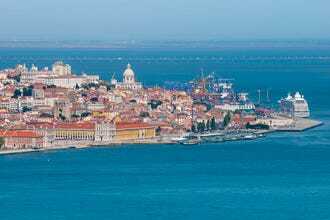 There are several historical sites in Lisbon that merit special mention for their cultural or architectural significance. 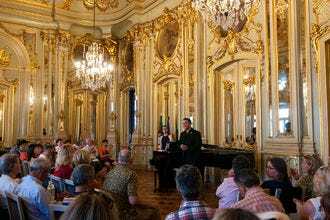 The most poignant perhaps is the King Carlos I assassination site in Terreiro do Paço. Besides being a murder, the event marked the beginning of the Republican uprising in Portugal. On the other side of the square is Café Martinho da Arcada. 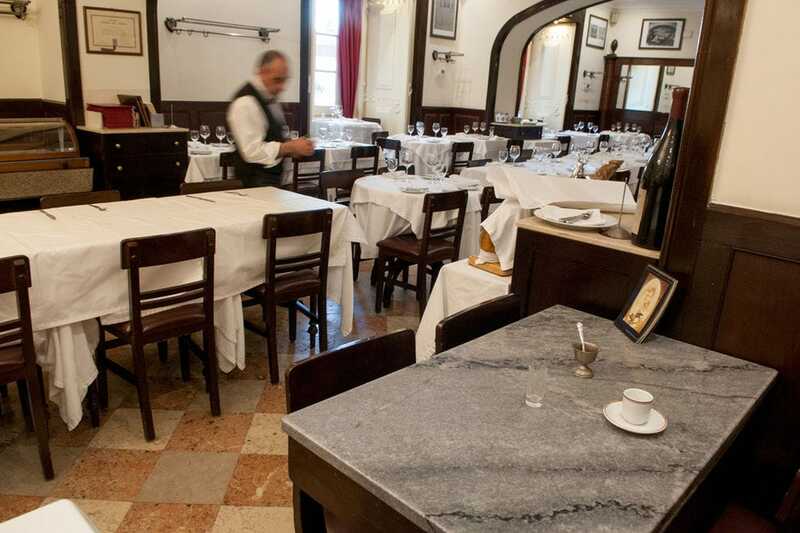 Inside you’ll find the restaurant table that Portuguese poet Fernando Pessoa sat at and frequently used as his “office”. 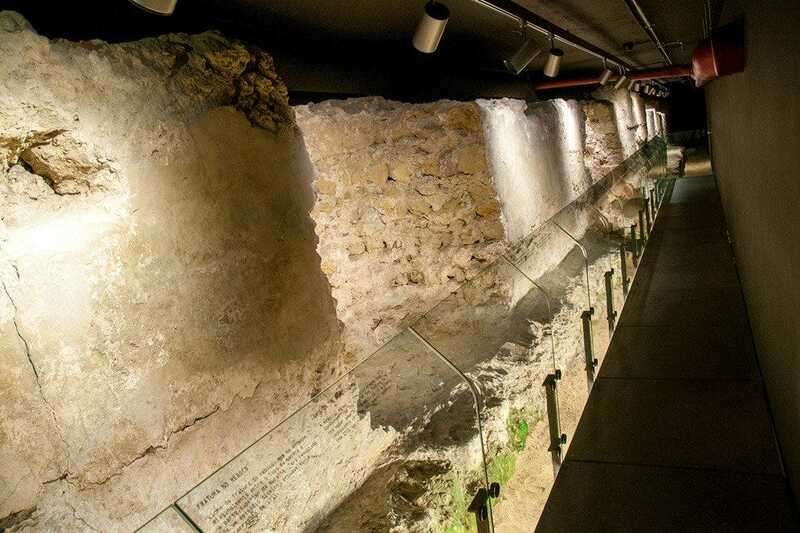 Under the streets of the Baixa (downtown) district, the foundations of a 13th-century wall, the D. Dinis Wall, can be viewed as part of a permanent exhibition. Nearby, the Núcleo Arqueológico is another fascinating underground archaeological, which is sited under a bank. Once a year in the same vicinity, the Galerias Romanas are opened up for the public to visit. It’s a long wait in a queue, but worth the effort! Remnants of Lisbon’s medieval town wall can be viewed at various sites throughout the city, especially near the river along Rua dos Bacalhoeiros. 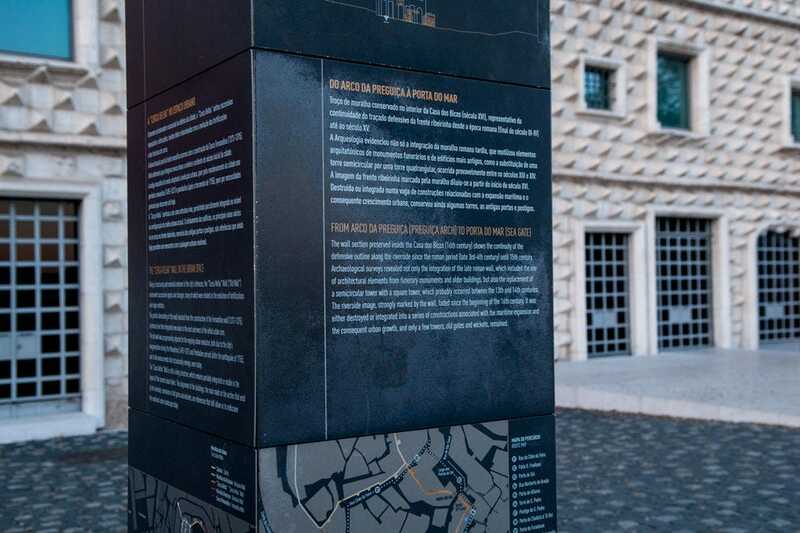 A little visited historic site is the geomonument, the remains of a 20 million-year-old seabed found in Campo Ourique and located where the ocean once met the land. Meanwhile over in Alfama there’s the Museu do Teatro Romano, where the ruins of a Roman theatre can be viewed. 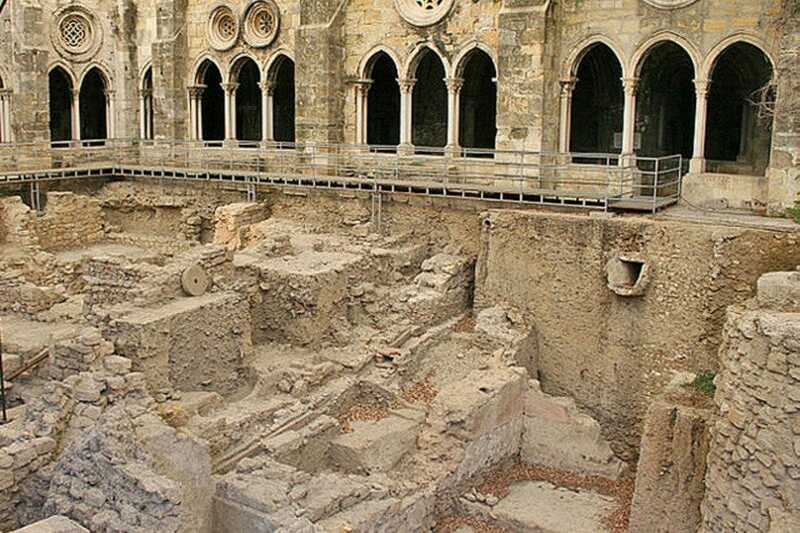 At the Sé de Lisboa, you can gaze over interesting excavations, which are set within the cathedral’s cloisters. 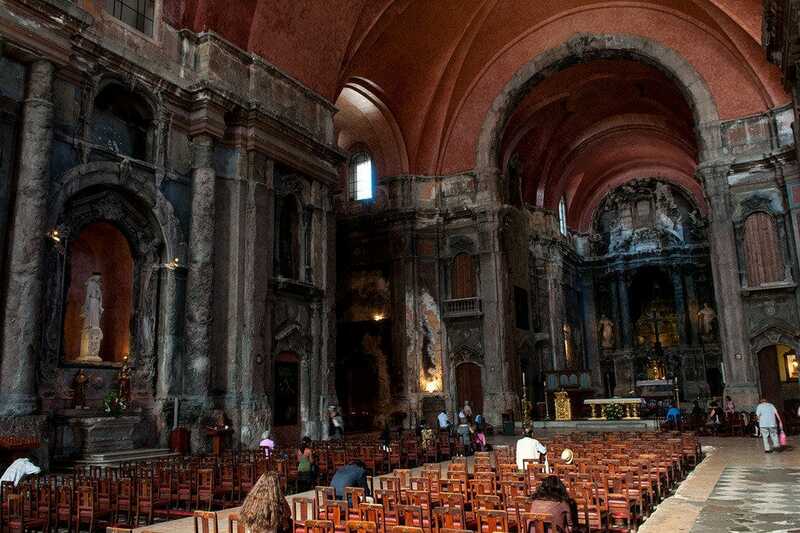 And expanding the religious theme, the Igreja de São Domingos, known for its fire-damaged interior, is one of Lisbon’s most unusual historic sites. Revered by locals as a very special place of worship, the Igreja de São Domingos stands on the site of a long ruined convent in Lisbon's Baixa (downtown) district. It's one of the oldest churches in the city, with foundations dating back to 1241. An earthquake in 1531 destroyed much of the building, but it was the great 1755 quake that left it entirely in ruins. Rebuilt in the 19th century, Igreja de São Domingos fell victim to yet another calamity when a fire swept through the structure in 1959. Rather than demolish the church, city officials decided to repair just the roof leaving the rest of the interior scarred and blackened for posterity. Today, the church is considered an important historical site after surviving such misfortune. Unbeknown to many visitors to Lisbon's 12th-century cathedral is the fact that it was built on the foundations of a mosque, constructed when the Moors held sway in their 'Lishbuna'. But long before their arrival, the Phoenicians, Romans and then the Visigoths had also decided to build on this strategic location. 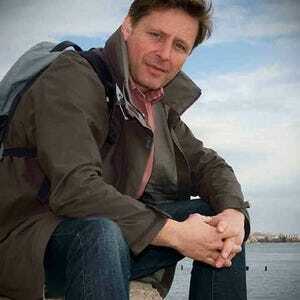 The result is a veritable history sandwich, layered with all sorts of fascinating artefacts from different centuries. The cathedral, then, is also an archaeological site, which is located in the 14th-century cloisters. Ongoing excavation has so far revealed the partial remains of a Moorish wall, perhaps that of the mosque itself. Also unearthed are the foundations of an early 6th-century Roman house and the outline of a road that historians believe linked the settlement and nearby Roman theatre with the river. This historic site, located in Lisbon's Alfama district, exemplifies Roman presence in the city. Combining a museum with the ruins of an ancient theatre, the Roman Theatre Museum works as a cultural space to promote the ruins, which date from 57 AD, as well as the finds excavated from the vicinity. The theatre was built when Emperor Augustus wielded power, and Lisbon was knows as Olissippo. Abandoned in the fourth century AD, the structure was completely buried after the great earthquake of 1755. 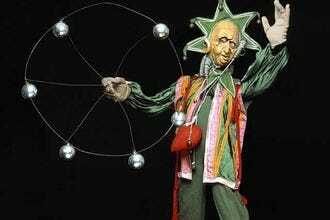 It was rediscovered in the 1960s, and archaeologists began in earnest to reveal the theatre's broken foundations. By using your imagination you can just about bring the sparse ruins back to life â" the 'orchestra pit' is still discernible. 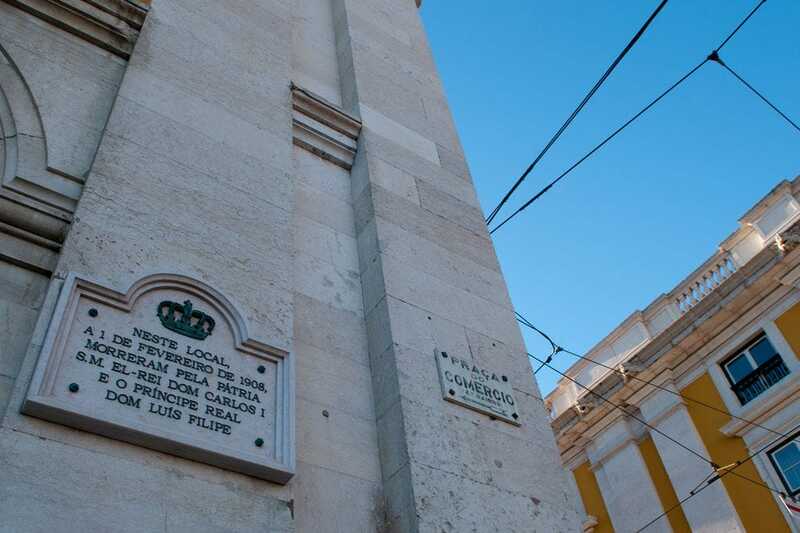 A little known and rarely visited Lisbon historic site is the geomonument, in the city's Campo Ourique district. This is the remains of a chunk of coastline that dates back to at least 20 million years to the Miocene period â" a rare example of where a much warmer and far cleaner ocean met the land, and where a shallow reef was created. As the ocean receded over millennia the once submerged reef was exposed to reveal the fossilized remains of bryozoan colonies. Bryozoa are filter feeding aquatic invertebrate animals that sieve food particles out of the water using a crown of tentacles. Layers upon layers of the skeletal fragments of these minuscule marine creatures gradually built up to create what we see today, a piece of ancient coastline that's set many kilometers inland and at a much greater elevation from Portugal's present Atlantic Ocean coast. Remnants of Lisbon's old city walls can be admired at various sites throughout the city. Some of the best-preserved areas can be found along Rua dos Bacalhoeiros, near the river. Constructed during the late 14th century and subsequently strengthened during the Manueline (1495-1521) and Pombaline periods (after the earthquake of 1755), this defensive architecture is visible either set within contemporary infrastructure, built around segments of the wall to showcase the city's heritage, or as a stand alone attraction like the Arco da Preguiça, a small gate for pedestrians that dates back to 1456 and which allowed access to access to a public fountain. Every year for one weekend in September the public is allowed access to one of the most remarkable historical sites in Portugal â" the Roman Galleries. On this rare occasion, the Lisbon authorities unlock a trap door imbedded in Rua da Prata in the city's Baixa district that is the entrance to a subterranean labyrinth of Roman-era vaulted galleries. The purpose behind the network of perpendicular chambers remains a mystery. 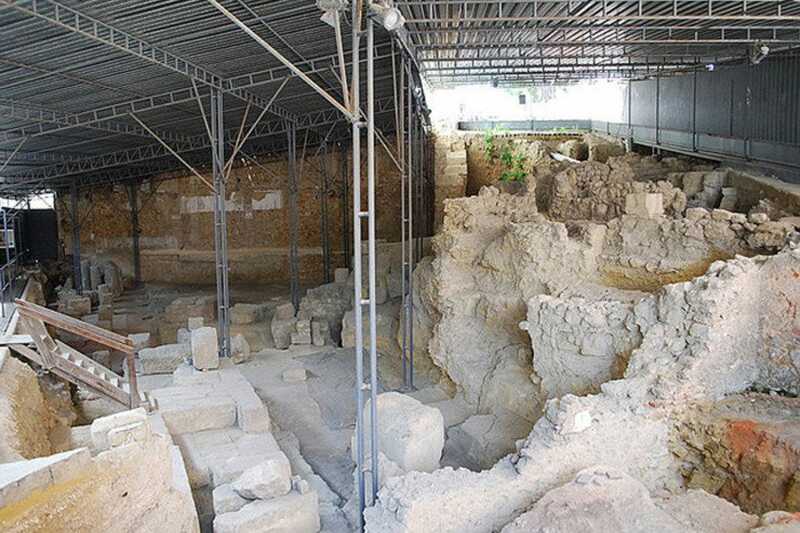 Dated from around the 1st century AD, archaeologists believe the arched passages were used as a storage facility, though others argue they could be the foundations of the Forum, or even a system of thermal springs used to supply wells for the Roman populace. 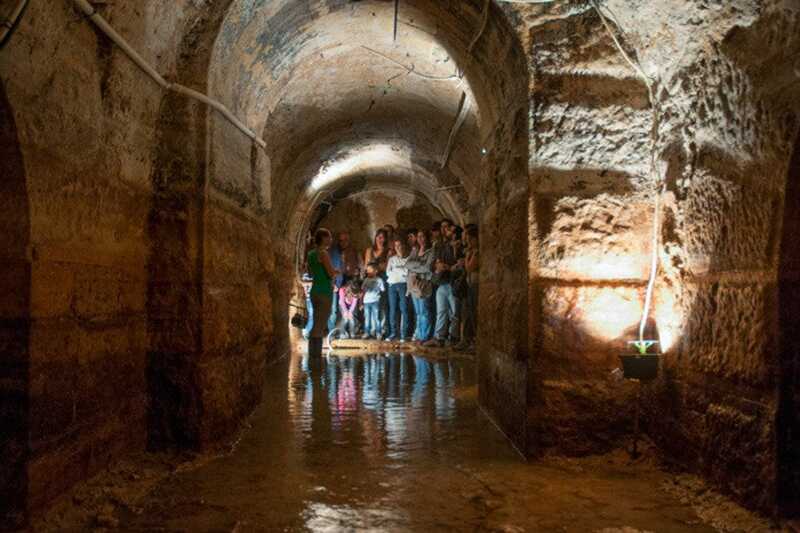 The tunnels are normally flooded, but once a year the fire brigade drains the compartments in order to facilitate the thousands of visitors that queue up for hours for a glimpse of this beguiling underground tourist attraction. A bank is probably the last place you'd expect to find one of Lisbon's great cultural assets, but hidden beneath the Millennium BCP branch in Rua dos Correeiros is an archaeological site that is layered with remarkably well preserved remains of Roman, Islamic, medieval and 15th to mid-18th century occupation. Visitors can follow a series of subterranean walkways built alongside and over the excavations. 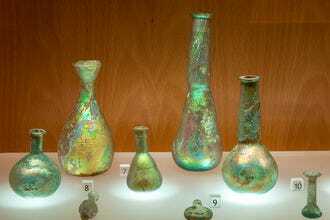 Of particular note are the tanks used by the Romans to make garum â" fermented fish sauce. You can also gaze into a spooky 5th-centuy burial chamber, complete with the skeletal remains of an adult male. 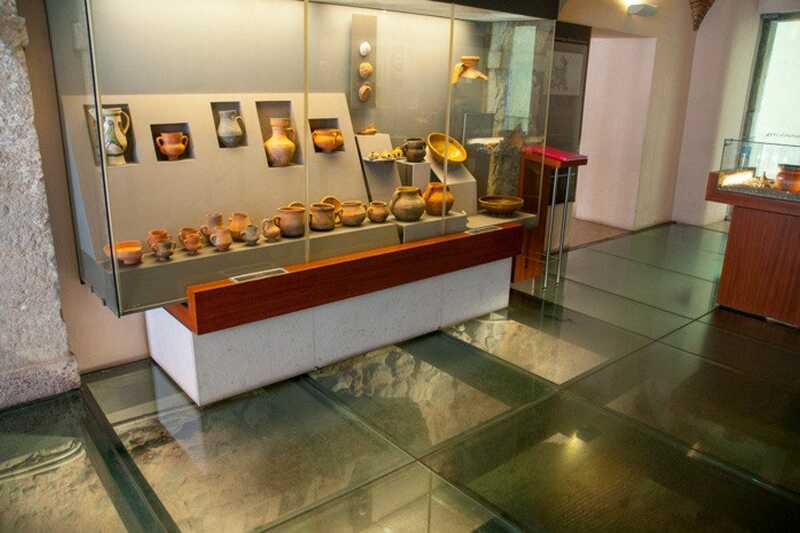 A small but engaging archaeological museum is set over the ruins, and exhibits include a number of remarkably well-preserved ceramics, coins, rings, hairpins, broaches and other assorted artefacts. The glass floor allows another perspective over the historic scene below. Set underneath the Church of S. Julião in Lisbon's Baixa (downtown) district is the D. Dinis Wall, a section of medieval wall unearthed during the rehabilitation of the neighbourhood in 2012. Constructed near the river on the orders of King Dinis in the late 13th as a defensive structure, the wall was in use for nearly 75 years. 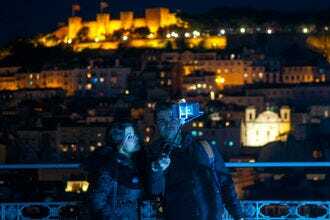 Its upper levels were later absorbed as the foundations of the Ribeira Royal Palace, built in the 16th century and destroyed by the 1755 earthquake. Buried for centuries, the excavated section now forms the centrepiece of a fascinating Interpretation Centre. Along with the wall, the exhibition also features a wealth of fascinating historical artefacts discovered during the restoration project, items such as fragments of mortar from the 2nd century AD, a 13th-century chess piece and a collection of medieval coins. The deconsecrated church forms part of the headquarters of the Bank of Portugal and future development includes the establishment of a money museum. Do you know where one of the most significant literary figures of the 20th century used to hang out? Well, there's a café-restaurant in downtown Lisbon called Martinho da Arcada that is synonymous with a man called Fernando Pessoa, one of the greatest poets in the Portuguese language. Born in 1888, Pessoa was a writer, critic, translator, publisher, philosopher… and a rather heavy drinker! Fortunately his penchant for alcohol fuelled rather than dulled his ability to put pen to paper, and his literary canon includes such works as Mensagem (Message), a collection of 44 short poems. Most of his writings, however, were published after his death in 1935 aged just 47, reportedly from cirrhosis of the liver. Pessoa was frequent customer at Martinho da Arcada, a café set on Praça do Comércio, which became an "office" of sorts. It's here that the table he regularly sat at has been preserved for posterity, along with the coffee cup he drank out of and a shot glass that was rarely be empty. By 1890 Portugal was broke. Revenue that once flowed generously back into the country from colonies in Africa and, more importantly, Brazil, had dried up. The country was in crisis. The government collapsed and society began to crumble. The Portuguese people began to leave the country in their droves. King Carlos I instigated reformist measures and the prime minister, João Franco, ruled by decree. Democracy had evaporated. 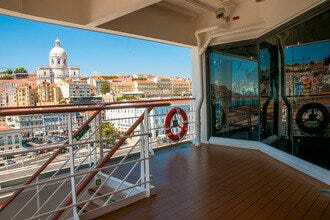 On February 1 1908 the king, his queen and his two sons arrived in Lisbon. As their open carriage drove through the Terreiro do Paço, two bullets struck the Portuguese monarch, killing him instantly. A second assassin aimed at the heir, Dom Luís Filipe, mortally wounding the prince. The blood-splattered birth of the Republic had begun. A plaque in the northwest corner of the square marks the spot where the shootings took place.